Dell just pinged us to provide us with the official details on the release of the Dell Venue Pro and it’s in line with our earlier story. You’ll be able to score the Dell Venue Pro starting today at just $99.99. Full presser and pricing available after the break. ROUND ROCK, Texas, Dec. 1, 2010 – Dell today announced an expansion to its mobile portfolio with the new Venue Pro, the only vertical QWERTY Windows Phone 7 smartphone that gives professionals, families, students and gamers more options to stay connected, access the content they love and applications for success. The Venue Pro is the latest in Dell’s commitment to provide innovative mobile solutions, which include the acclaimedStreak 5 pocket tablet. The Venue Pro is designed to take productivity, social networking and on-the-go entertainment to new heights. 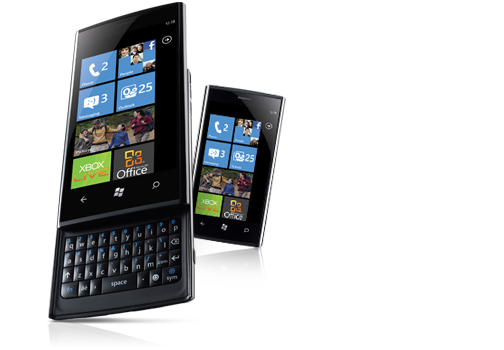 Available immediately at Microsoft retail stores, Store.Microsoft.com, and today direct from Dell, the Venue Pro is a Windows Phone 7 Smartphone featuring a cutting-edge portrait layout QWERTY keypad for faster text entry, editing and connecting with friends and family. In addition to the QWERTY keypad, the new Venue Pro comes with Xbox LIVE and pre-loaded work/life applications that make everything easier and more beautiful on its sharp, bright and responsive 4.1-inch AMOLED touch display, which features rugged Gorilla Glass® for exceptional durability. Windows Phone 7 Live Tiles keep priorities in focus, and the Venue Pro’s single-button access delivers everything you care about including Bing for search, Xbox LIVE for games, and Zune for music and video. Elegantly designed, the Venue Pro’s elliptical, slender form factor slips easily into your pocket. A 5-megapixel camera, high-speed wireless, and cloud-based services make it easy to keep in touch, share experiences and enjoy music, movies and more. The Dell Venue Pro is available immediately at Microsoft retail stores, Store.Microsoft.com and direct from Dell by visiting www.Dell.com/VenuePro or calling directly at 1-800-308-DELL. Carrier and additional pricing information provided below.